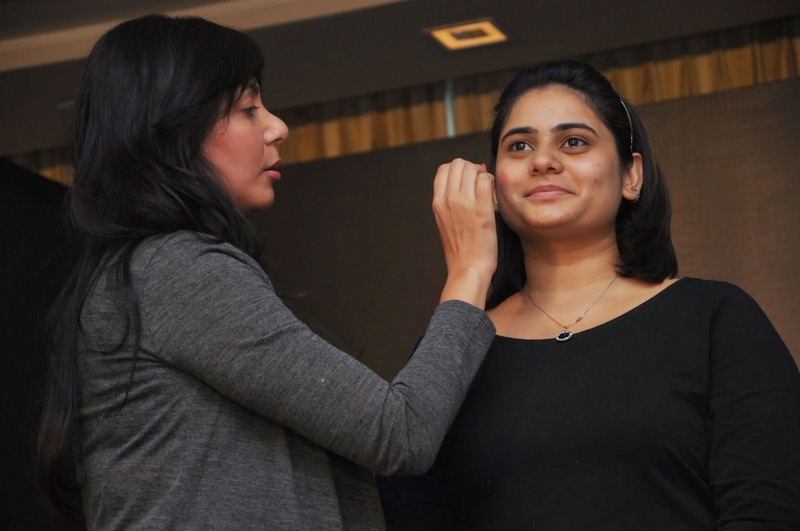 As a part of Zuri’s ongoing Makeup Artist Series, meet Mumbai’s renowned makeup designer and one of the partners at FAT MU- a Mumbai-based makeup academy. Read on to know how and when a flight attendant started playing with the makeup brushes! One of the partners at FAT MU, Natasha Nischol, graduated from the London College of Fashion. She has done work for Bollywood (movies such as Paa, Honeymoon Travels Pvt. Ltd.) and Hollywood cinema (Slumdog Millionaire, Marigold to name a few). Besides, she has also contributed to the international TV and fashion scene. This busy and extremely successful lady used to be a flight attendant before she decided to play with makeup brushes! Read on to know more about her..
1. What is a day in the life of Natasha Nischol like? Busy! Wake up go for yoga. Go to work at the FAT MU HQ. Work till I need to – at least till 6-7 PM at the earliest and then go home hang out with friends or family or else dive into a book or a film. I used to be a flight attendant with Cathay Pacific Airways. I love to travel – it is my passion and so that’s what I started out doing. Lived in Hong Kong and travelled the world – what better way to spend your early 20’s! 3. 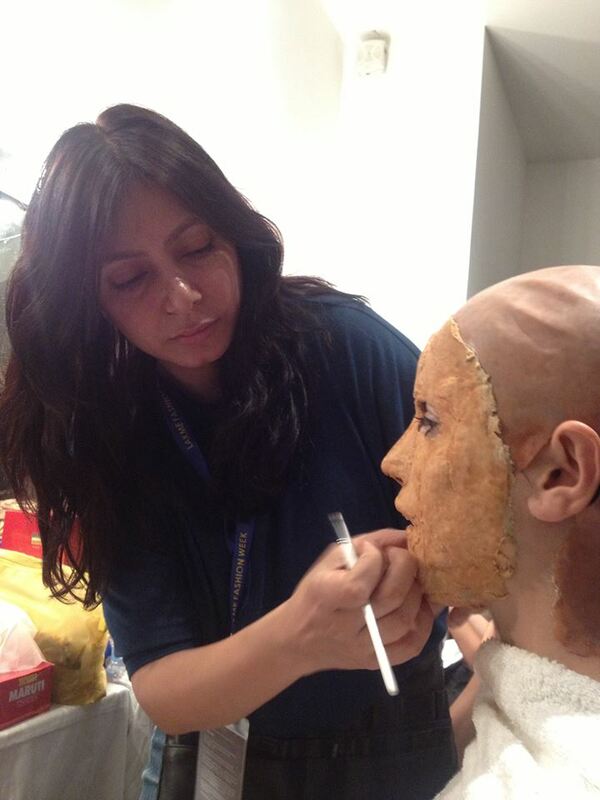 What would you say is the difference between applying makeup for a TV/film shoot and applying makeup for a bride? 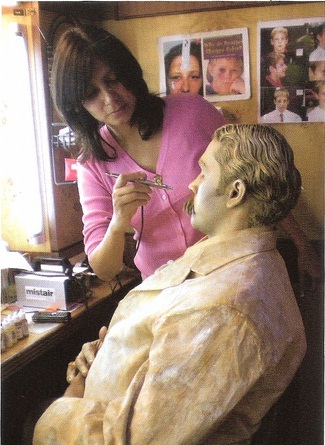 Makeup for a film is quite different from brides. Brides usually want to look like themselves but better on their wedding day but in films we have to keep in mind the character being portrayed by the person and design the makeup accordingly. With film, it is a bit easier to gauge the placement and amount of make-up to be used because the lighting and angles are already decided, plus you can run in for touch-ups any time and also you need to consider only what is seen on camera. With a bride, how she looks in real life is just as important as how she looks on camera. She needs to look good in every light and angle and her makeup needs to be done in a way that guarantees it stays on because you can’t be there to touch up which makes it a little difficult. There is no one memorable experience like that, we think that every client you work on leaves an impression and each one is a different life experience that teaches you something new. Not very well haha 🙂 am still working on that one! 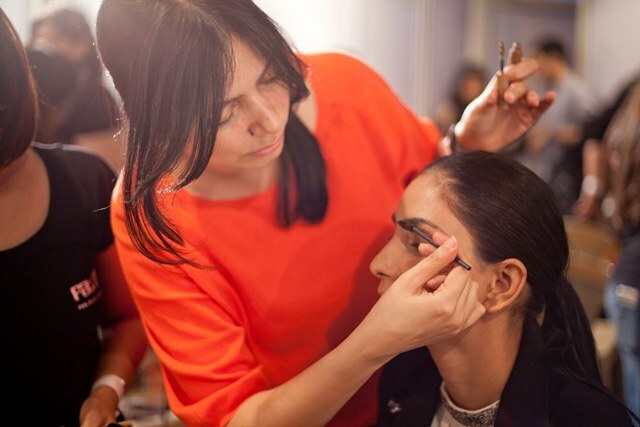 The Indian beauty industry has made big strides recently, for one thing it is great that women now can work as makeup artists and have a union card, so that is one archaic law we’re happy to see go. The ideals of beauty are changing as well, you see more women who are dusky in film and magazines which was quite rare before, fairness was an obsession (it still is, but it is good to see small changes happening.) People are more experimental now in their makeup looks rather than going for just a swipe of kajal. We at FAT MU try to give our clients something new and different and we believe that everyone has their own individuality and we try to bring that out. We try to look outside the make-up box and look at art and nature for inspiration. We enjoy creative work more than anything else. This is speaking for ourselves, of course, we don’t think this makes us different from other makeup artists who do an amazing job in their own way! Being misinformed might be the biggest one but there are quite a few, for one thing wearing a base that is too light in colour is very common and it is sad because many times makeup companies don’t provide for dusky women. A big pet peeve of ours is also badly groomed brows; they frame your face so give them some love! My mentor Jenny Shircore for sure, plus there are make-up artists like Pat McGrath and Alex Box, designers like Alexander McQueen, and not just them, painters and illustrators, photographers, there are so many people who can inspire you even everyday! Last but not least my own family – my sister who is a brilliant artist and designer, my uncle who I think is a genius filmmaker and I just love the way they think and look at things – it is very very inspiring and I’m very lucky to have grown up with this.